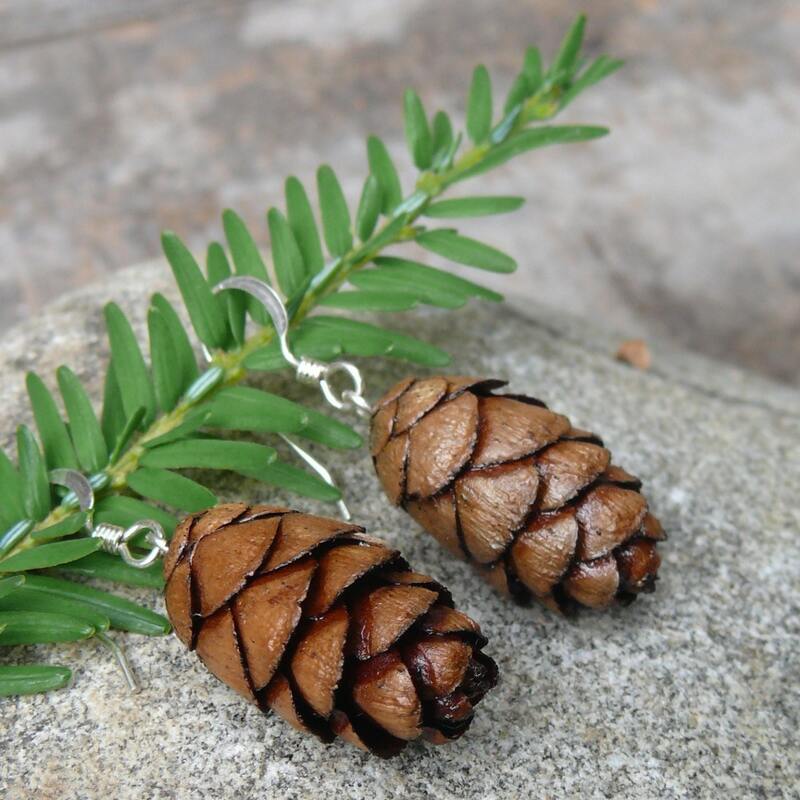 These beautiful, light-weight earrings are made from sustainably harvested Eastern Hemlock cones – looks like miniature pine cones! Solid sterling silver hardware. Measures approx. 7/8"L x 1/2"thick. Finished with all natural pure Tung oil. 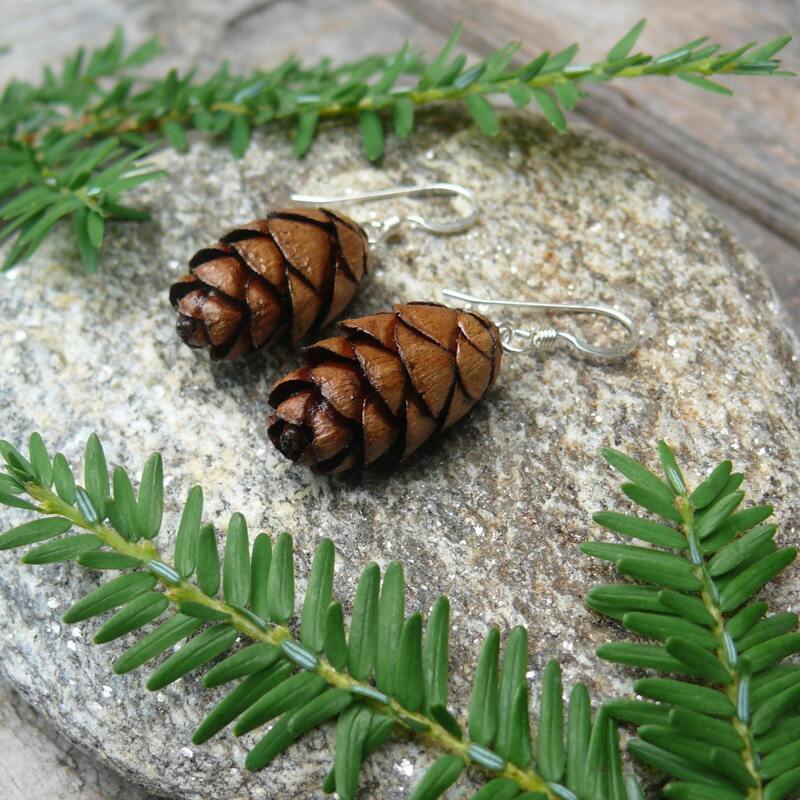 I do wholesale to retail stores, galleries, and salons. 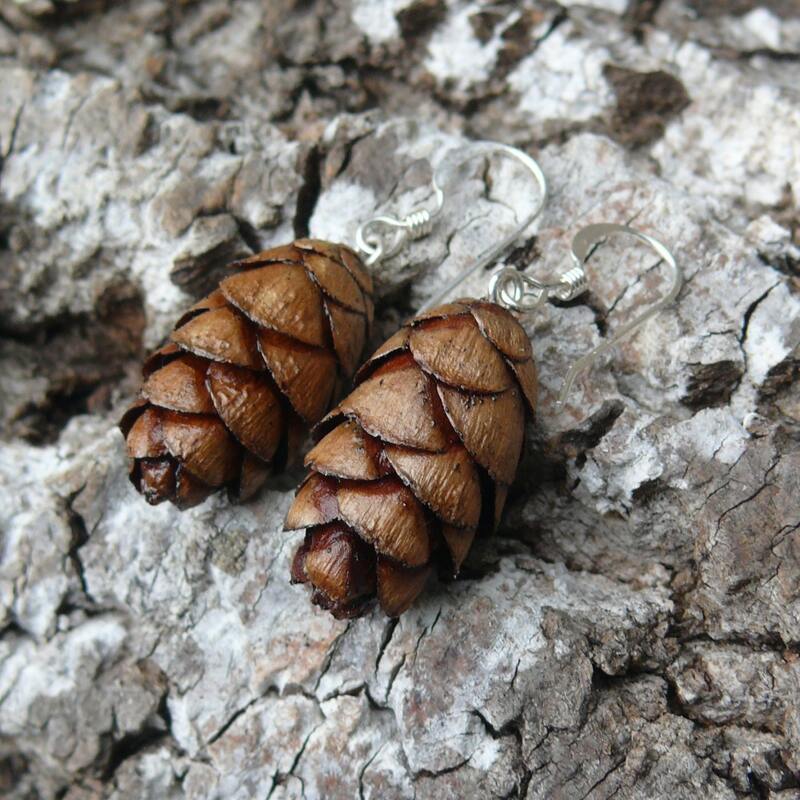 Please contact me for more wholesale information. 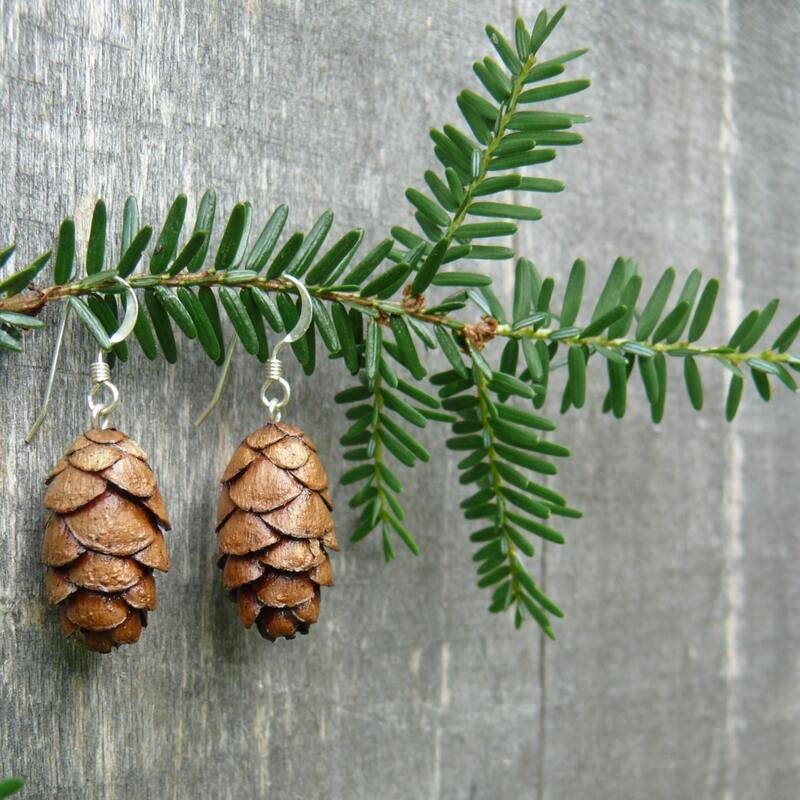 My mini hemlock cone earrings arrived today and they are perfect little bits of nature. I know I will enjoy wearing them. Thanks, Jem! Wow! How delicate and pretty these are. Thank you for the quick shipping over a holiday weekend. Beautiful and very leightweight. And thank you for the bonus! !